I admit that I'm not a logistics expert. I've never managed a trucking company. I never even delivered newspapers. Despite my ignorance and inexperience, I must express dismay and surprise at the route that the USPS selected to get a package to me. 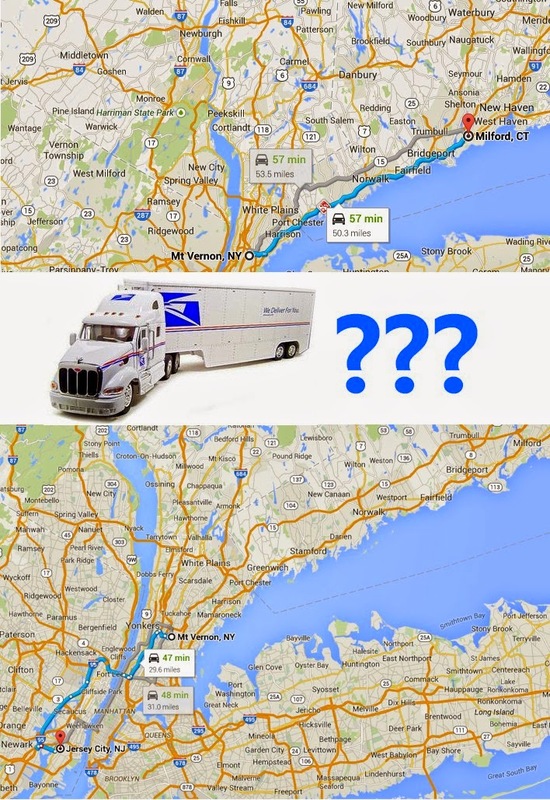 It was shipped from Mt. Vernon, NY on Friday. It should have traveled about 50 miles northeast to reach me in Milford CT. With no stops, the trip takes about an hour. 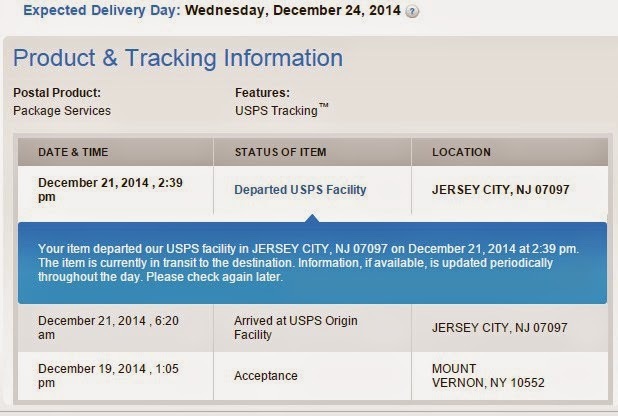 Instead, my package was sent about 25 miles southwest (THE OPPOSITE DAMN DIRECTION) to Jersey City. Today it will apparently travel northeast, passing very close to Mt. Vernon, and will allegedly reach me on Wednesday. The fuel and labor needed to carry it from Mt. Vernon to Jersey City and back were a waste. I ordered the item on eBay. I was able to choose to buy from several suppliers and I picked the one that was closest to me. I know that delivery services -- like FedEx with Memphis -- often use central "sorting hubs." But in my case I just don't see what was gained by the round trip to Jersey City and back to Mt. Vernon.